SMS gateway providers are those who offer the services of sending bulk SMS to the businesses to reach their target audience. Business can build a large number of potential customers by sending quality and informative message to their target audiences. The SMS gateway providers are responsible for drafting and sending the message to help businesses to make most out of it. There are many factors that impact the SMS campaign used by businesses such as delivery rate, delivery time, speed, compliance, scalability, uptime, support, security and the customization options for the campaign. The option for saving money is quite good if you are choosing bulk SMS service but it is good to take competitive prices options for a quality service. How to choose top SMS gateway providers? 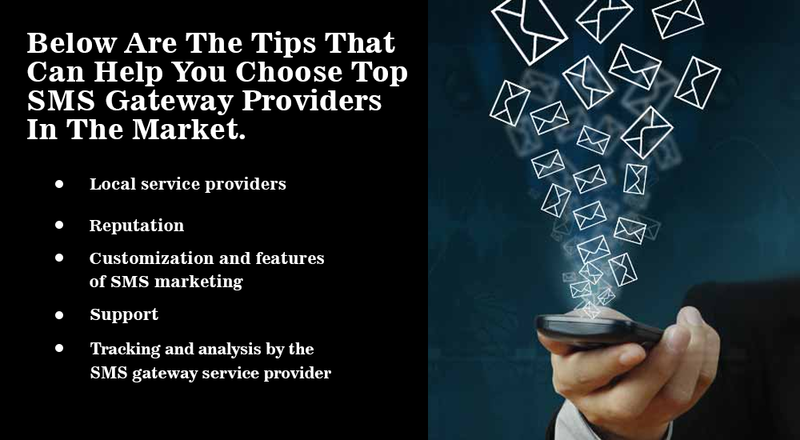 Below are the tips that can help you choose top SMS gateway providers in the market. • Local service providers: The best option to get maximum returns is to opt for local service providers. The locals have the partnership with many local operators that ensure the delivery of SMS at the desired time. • Reputation: It is good to check the company's reputation and its success rate with their clients. A reputable service provider offers the best services that ultimately help your business grow. • Customization and features of SMS marketing: It is good to choose the company that provides their customer with customization facility. This helps in personalising the SMS campaign and is highly appreciated by the customers. • Support: A constant support from the SMS service provider (Broadnet) helps you deal with difficult situations. Sometimes, the messages reach late to the customers or they are not delivered. The situation demands instant help from the service provider. • Tracking and analysis by the SMS gateway service provider: The services of SMS tracking by the service provider helps businesses to know the status of their message. This helps the business in deciding to continue with the service in future. Your choice of a good service provider of SMS gateway can help your business achieve its goals. For more information, please visit our website.